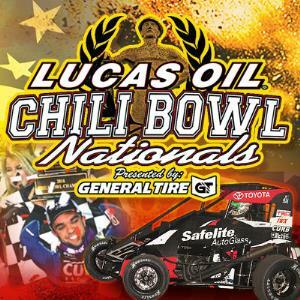 This is the Official Calendar for Lucas Oil Chili Bowl Nationals. Watch an amazing roster of the best drivers from stock car, open wheel, late models, and drag racing, as they vie for the chance to win the coveted Golden Driller award. The Chili Bowl's key ingredient is the “the indoor garden”, at roughly a quarter-mile, this circle of heavily saturated clay allows the boldest dirt track artists to truly shine.